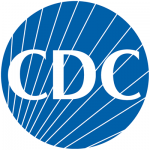 The Centers for Disease Control and Prevention (CDC) contracted EurekaFacts, and its partner, the American Institutes for Research, to conduct a comprehensive and mixed methods assessment of primary care providers’ knowledge, attitudes, and behaviors related to awareness of and familiarity with the CDC Guideline for Prescribing Opioids for Chronic Pain (“Guideline”). The research also looked at the use of communication materials developed by the CDC to disseminate the Guideline and support its implementation into primary care practice. (2) understand practice characteristics (e.g., ownership status, region, leadership support and promotion of the Guideline) and provider characteristics (e.g., experience, attitudes) that may facilitate or impede use of the Guideline communications materials and implementation of Guideline recommendations. Obtain insights on primary care physicians’ perceptions and opinions of the Guideline, its associated products, and related CDC services around Guideline dissemination. Identify needs for modification of communication tools and strategies to best ensure that the Guideline informs primary care physicians’ prescribing decisions. Identify primary care physicians’ access and use of CDC’s Guideline communication materials for professional development, clinical decision making, and patient education. Identify attitudinal and structural barriers that may inhibit primary care provider implementation of the Guideline’s recommendations. The CDC was able to better understand primary care providers atttidudes toward prescribing opioids; their Guideline awareness and familiarity; their processes of care as related to the Guideline; how they obtained and used Guideline communcation tools; and further information needs for physicians and patients. The mission of the American Institutes for Research (AIR) is to conduct and apply the best behavioral and social science research and evaluation towards improving people’s lives, with a special emphasis on the disadvantaged. Founded in 1946 as a not-for-profit organization, they conduct their work with strict independence, objectivity and non-partisanship. The intellectual diversity of their 1,800 employees enables AIR to bring together experts from many fields in the search for innovative answers to challenges that span the human life course. The Centers for Disease Control and Prevention (CDC) works 24/7 to protect America from health, safety and security threats, both foreign and in the U.S. Whether diseases start at home or abroad, are chronic or acute, curable or preventable, human error or deliberate attack, CDC fights disease and supports communities and citizens to do the same.